New windows are doors bring new life to any property. Whether you have a residential or commercial building, we can provide high quality Milgard Windows and Doors for your next renovation project. We not only offer a variety of styles and sizes to choose from, but we also offer design services from our qualified team. Let us put together a plan for your window replacement project. We have been highly recommended by our numerous clients over the years as the number one company for Windows Replacement in San Marino. Trust the experts in your renovation project and you won’t be disappointed. Our team has many years of experience completing quality window and door replacement projects from the planning stages all the way through the finishing touches. You will love working with our friendly and responsive team and will love your brand new windows even more. Contact us today and we will be glad to walk you through the process. We make everything simple for our clients because we do all the work. All you have to do is provide inputs as to what your goals are for your property, and we will take care of the rest. If you have been waiting to get new windows or doors for your property, look no further. Contact us today to get a free in-home estimate on your next project, and you may be surprised by how affordable high quality windows and doors might be. With generous government incentives for improved energy efficiency hardware, your out of pocket cost may be much less than you expected. Plus, you will be saving money every money because your new windows will be saving you energy all day long. Those utility bill savings will add up over the years, and your new windows and doors will eventually pay for themselves. Did you know that our Milgard windows come with cutting edge technology that improves the energy efficiency of your home? Older windows not only lack the most current technology, but also can have leaks from poor installation or may be defective. Why waste precious dollars with old, defective windows when you can get brand new high quality windows that save you money in the long run? If you need Windows Replacement in San Marino, contact us now and we will be glad to work with you on a solution that works best for your property. In addition to energy efficiency, new windows and doors also add improved security to your property. Locks on old doors and windows can decay and lose their function over time, making your property vulnerable to unwanted attacks. Rest assured in your new high quality windows and doors that adequately protect your possessions and your loved ones. New windows and doors also improve the value of your property because potential buyers always notice exceptional quality windows and doors. Invest in your property by installing new windows and doors. Not only will you be able to enjoy them immediately, you will increase the desirability of your property when the day comes that you decide to sell. 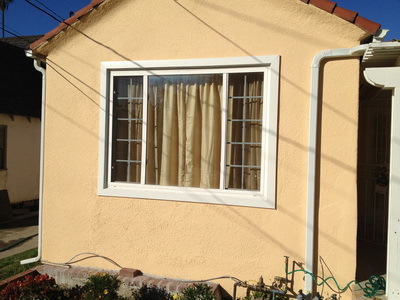 Anyone who needs Windows Replacement in Sherman Oaks and surrounding areas can feel free to contact our office anytime to get your questions answered. We will be glad to provide a free on-site estimate at no cost to you. During that appointment, we will learn about your needs and make any necessary measurements of your space. You will enjoy working with our highly trained professional team. Contact us today, we look forward to working with you.